Sintra is a romantic paradise hidden in the midst of green hills, dotted with palaces and old estates. 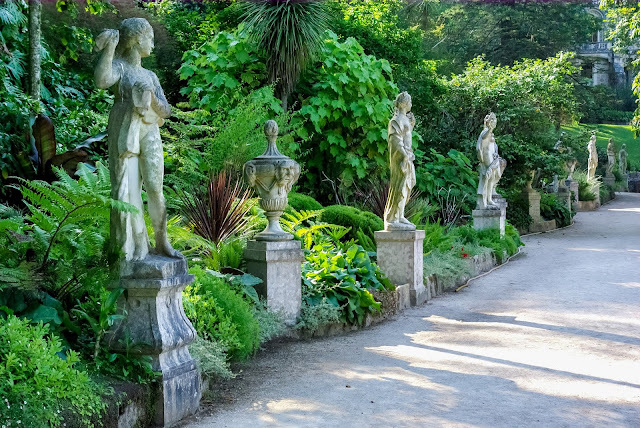 Since 1995, considered a World Heritage Site by UNESCO, is located about 30 km from Lisbon, it is often that those who visit Lisbon usually book a day to stroll the streets of Sintra and know its main attractions and mysteries. This is an ideal tour for all, whether you are traveling as a couple, alone or traveling with family: However, although the historic center is not vast and is easily known on foot, there are some attractions that requires steep climbs, hence it will be beneficial to think of alternatives that do not walk, especially for those who only have one day or travel with kids and want to know the maximum of the village. 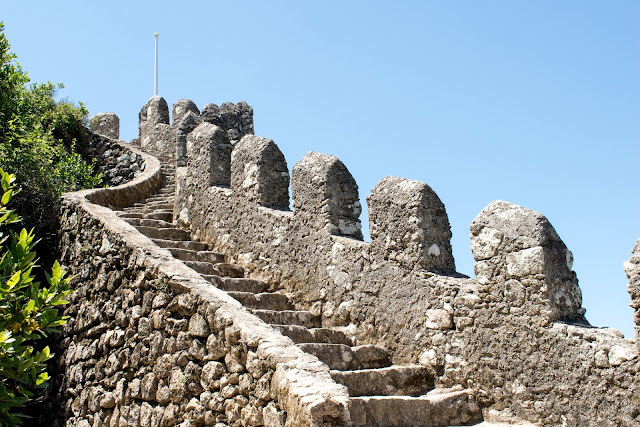 In a previous post we explained how you can easily get to the center of the village from Lisbon (learn more about here), so here we leave our opinion on a possible itinerary that will allow you to know the main attractions of Sintra. If you come to Sintra from the train station, the walk to the center of the city is about 1 km and the way we recommend (you can see in google maps) is by the Volta do Duche. 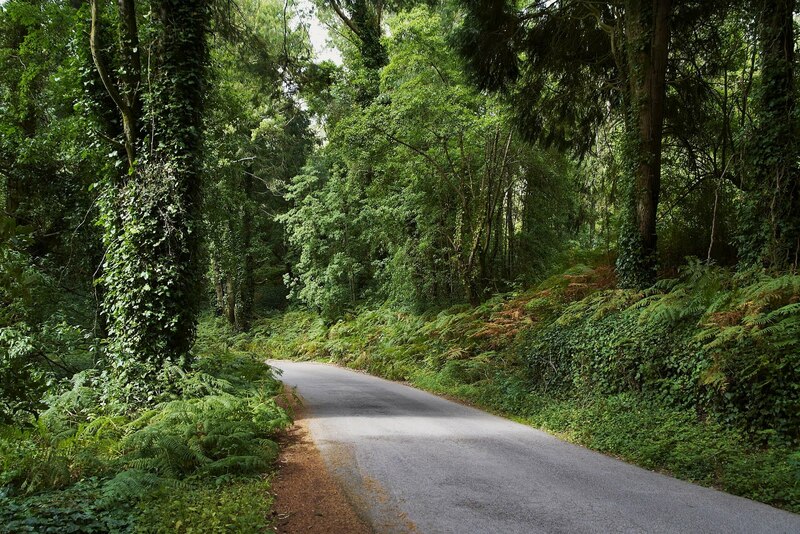 This is an extremely pleasant route, always accompanied by centenary oaks, which will take you to the center of the village. It will also take you to the famous Mourisque Fountain, erected in 1922. Strolling along the Volta do Duche you will find the entrance to Parque da Liberdade, which you can access for free via a staircase. This is a beautiful park, full of romantic hiding places, small lakes and sculptures, and green, a lot of green. To make the most of the day, we recommend that you arrive early in Sintra, as there is a lot to do and go. 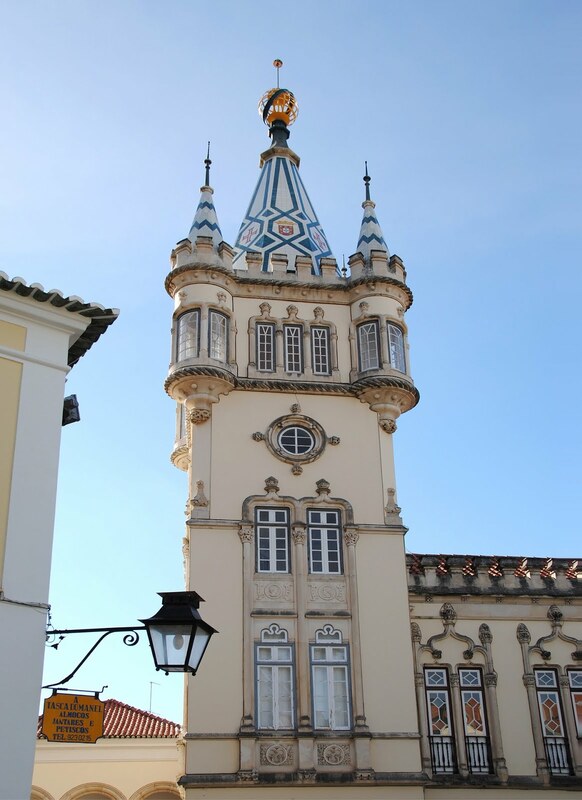 When you reach the center of Sintra, you are in Praça da República. The Republic Square is marked by the National Palace of Sintra, also known as Palace of the Village or Paço Real, whose visit we recommend if you are more than a day in Sintra. 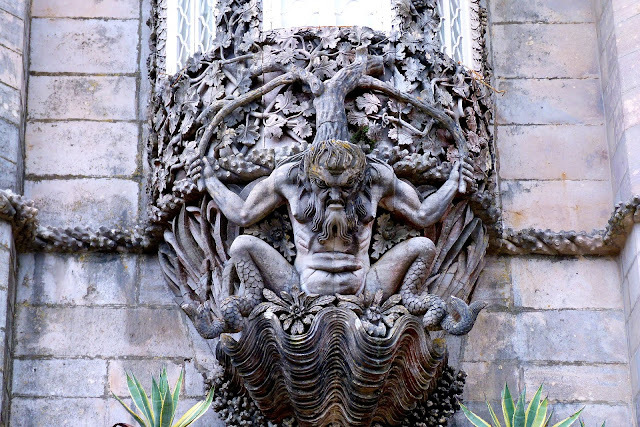 This is a palace intrinsically linked to the national royalty, and which demonstrates the court's connection with Sintra. If it is only a one day trip, what we will advise is that you visit the National Palace Gardens, whose entrance is free. You can access the gardens through the door located on the left side of the main door of the palace and, there, marvel at the view over the Village. If you choose to visit the Palace, you can know more about prices, schedules, and contacts. For a day that will be very big, how about gaining energy with a typical Sintra candy? For this, go to Piriquita and enjoy a Travesseiro (pillow) or a Queijada de Sintra. The idea is to eat a Travesseiro and buy a pack of dairies for the day but, that is just our greedy advice. Access more information about schedules and contacts here. 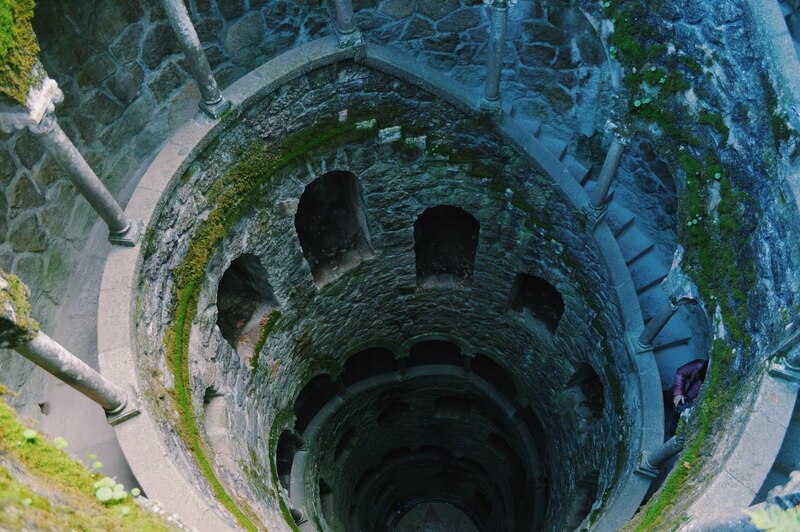 Do not forget that although we are referring to the main tourist attractions of Sintra, often the best is in what is less recognized. Let yourself be lost in the streets of the center of the village, pay attention to the small romantic corners, the wonderful farmhouses and the small palaces that fill this heritage of humanity with beauty. Being this a itinerary for an day trip in Sintra, we had to make a choice, that led not to recommend the visit to the interior of the National Palace of Sintra and, the reason why we made this recommendation is because the following hours should aim to know the Quinta da Regaleira, something that cannot be missed on a day trip to Sintra. 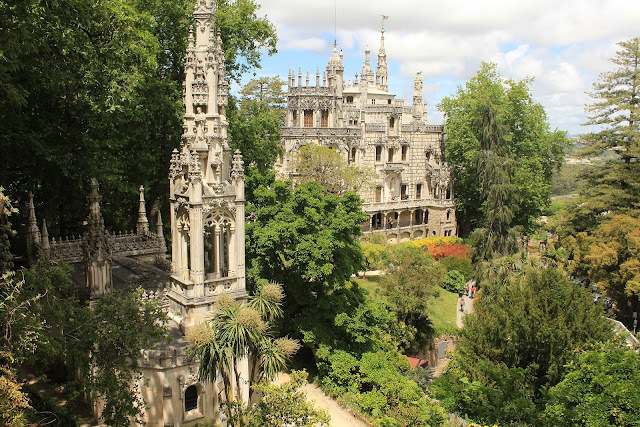 A short distance from the center of the village, near the Serra de Sintra, you will arrive at Quinta da Regaleira, also known as Palácio da Regaleira. This is a wonderful palace, with a complex mix of Renaissance and Manueline traits, together with Alchemist and Masonry symbology. It'is also surrounded by luxurious gardens, lakes and mysterious buildings, with meanings linked to Masonry, Templars, and Alchemy, with trees and vegetation from all over the world, intertwined with mysterious labyrinths, statues of gods and hidden caves, and its famous initiatory well. Impossible to lose. You can access more information about prices, times and contacts here. The Palace of Seteais is a former palace of the 17th century, which is currently converted into a Luxury Hotel, so if you are not a host, this is not a visit you can make. But, what we want to recommend is the visit to their gardens. Of a neoclassical architecture, they are of monumental beauty and, of free admission. It's only a short walk from the Quinta da Regaleira and you will be happy to do it. You can discover more about the Gardens of the Palace of Seteais here. Afterward, we would leave the suggestion to have lunch in the center of the village, then resume the second part of his tour. This second part of the tour will involve more trips, which you can do on foot, but on a day trip it becomes more difficult to have time (although it is a good possibility if you stay longer in Sintra) or, as we recommend, you can take the 434 tourist bus (more info here) in the center of the village. This is the first stop on the tourist circuit, which will take you to the ancient Castle of the Moors, whose first buildings date back to the 9th century, prior to the birth of Portugal as a nation. 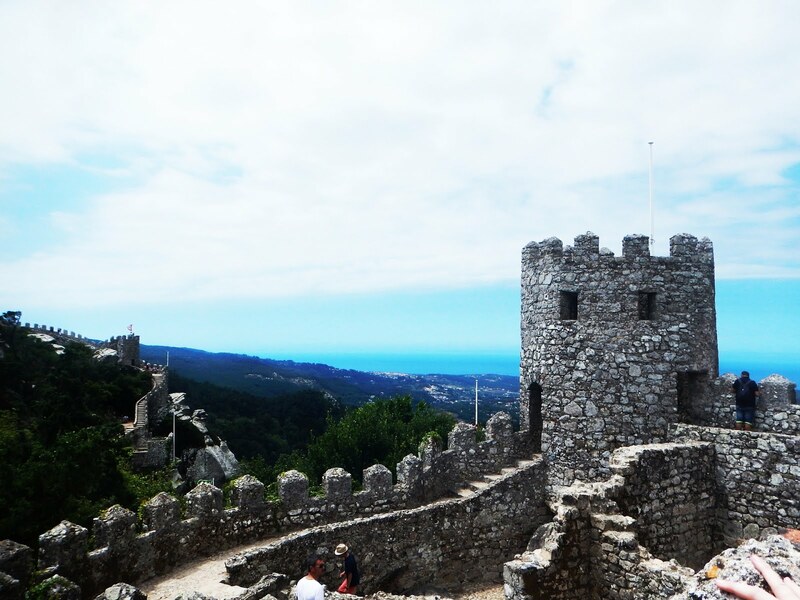 Although this medieval castle is in ruins, it deserves the trip and the tour, because it is located on one of the peaks of the Serra de Sintra and enjoys a monumental view over the whole mountain range and the green that extends to the Atlantic Ocean. Stroll through its walls and enjoy the view of its towers. 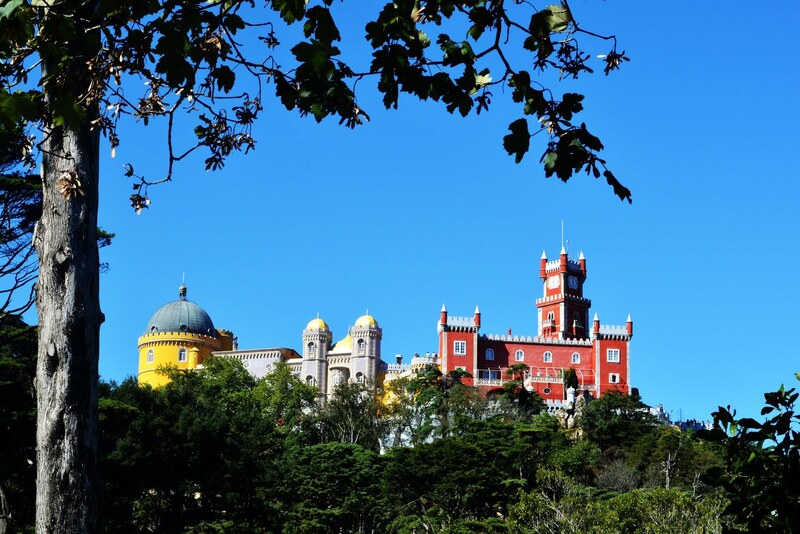 The visit to the Castle of the Moors can be done in about an hour and there is the possibility to purchase a ticket with the garden and the Pena Palace. For more information, see here. After the visit to the Castle of the Moors, you can follow the trip to the Park and Pena Palace. If you have chosen to purchase the Round Trip ticket for Bus 434, it is the next stop. When you arrive at this Palace, prepare to be dazzled. 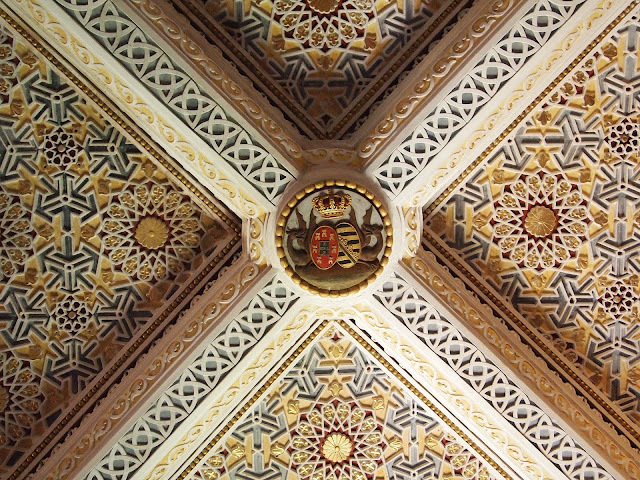 The "Palacio da Pena" was made to be seen and admired from everywhere. Built by King Dom Fernando II of Portugal to be his summer residence, it is imposingly located on a hilltop of the Serra de Sintra, about 500 meters high, and its bright colors contrast perfectly with the green of the park and of the mountain range that surrounds it. Also, the park that surrounds the Palace deserves to be worthy of an attentive visit and combines with the exoticism of the interior and exterior of the palace. With Botanic species from various corners of the world, they manage to maintain the visitor's fascination along their walk and is a great place to rest a little. You have the possibility to buy the ticket that gives access to the park and to the exterior of the building and, if your visit is already later in the day, this may be the best option and save money. But if you have more time, we recommend you to buy the ticket that allows you to know the interior of the palace and just let yourself be dazzled by the luxurious decoration of it. 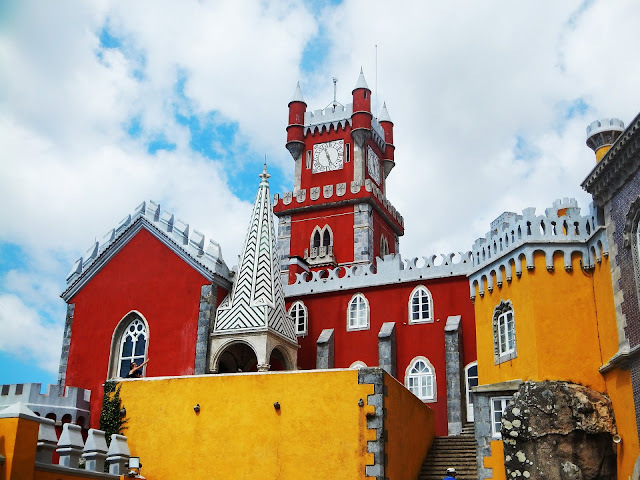 The visit to the Pena Palace and its Gardens is undoubtedly a high point of any trip to Portugal and will certainly amaze you. If you wish to extend your visit a bit more, the palace is served by a shop, a cafeteria, and a restaurant if you need to make your meal here. If you choose to do so, we leave the suggestion that you enjoy the great esplanade. For more information about prices and times of the Park and Castle of Pena, see here. Do not forget that when you buy the ticket, you can buy the combo with other attractions, such as Castle of the Moors "Castelo dos Mouros" and have a discount on the total cost, besides saving time in the queues, so we recommend that you choose what you want to see before to start your day trip to Sintra. The return to the center of the village can be done again by taking the Bus 434, next to the Palace, which will take you to the train station of Sintra, where you can take the train to Lisbon. 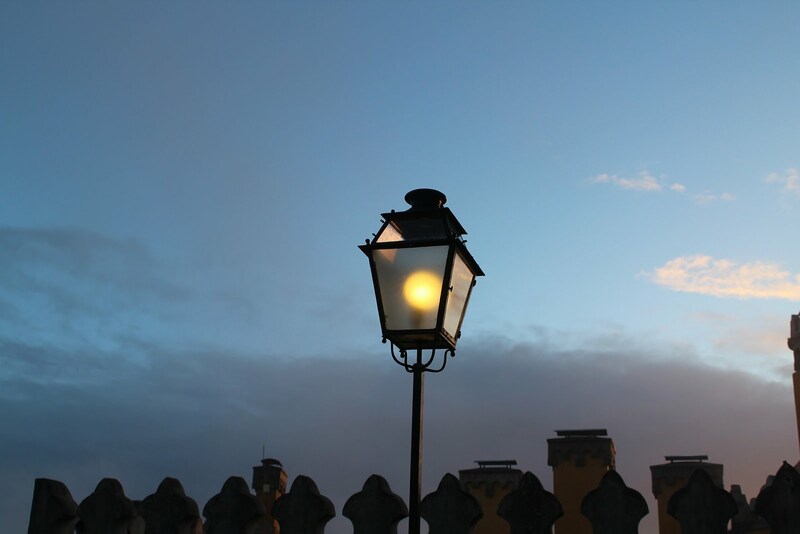 If your plan is just a day trip to Sintra, we leave the suggestion to stay downtown for some extra hours and enjoy dinner in one of the many restaurants that exist and enjoy Sintra at night. The variety of offer is huge, with many small restaurants that will make everyone's delight. We promise it will be worth it. When traveling with your children, sometimes this may be a more tiring scenario, but it will be worth it and you have the possibility of catching a train towards Baixa de Lisboa until just after midnight (more information here). We hope you enjoy your trip and that this itinerary will help you plan your trip. Do not forget to leave your comments, opinions, and suggestions. Sintra looks like a great place to visit. I would love to go there someday. This looks like such a neat place to visit. Enchanted is the first word that comes to mind. It looks like something straight out of a book. Thanks for sharing! 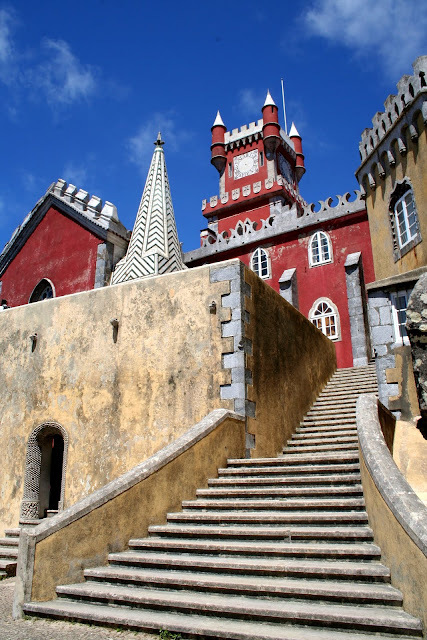 Sintra looks like a wonderful place to visit - like a fairy tale! I would love to see these places in person one day! Always great seeing other places around the world through someone else's eyes. Thanks so much for sharing. 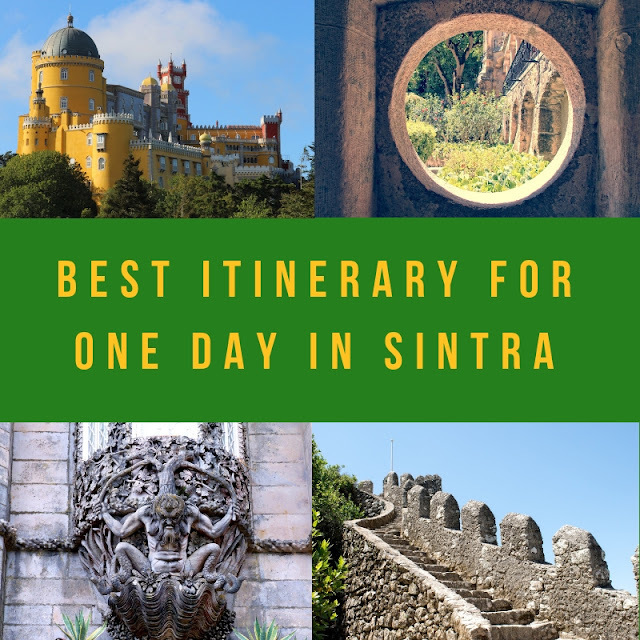 I have never been in Sintra but I would love too. I will definitely add this place to my bucket list and hope to see those beautiful architecture and spots of this place. I've never been here but it looks amazing! Thank you for sharing–– I'm definitely adding this to my travel list! Wow, it looks so beautiful! Some of these aerial shots look nearly impossible to get! How picturesque! Sintra was my favorite part of my Portugal trip! Sooo cool! I love the Pena castle, it looked so surreal and cute. The state park and gardens would be on the top of my list! 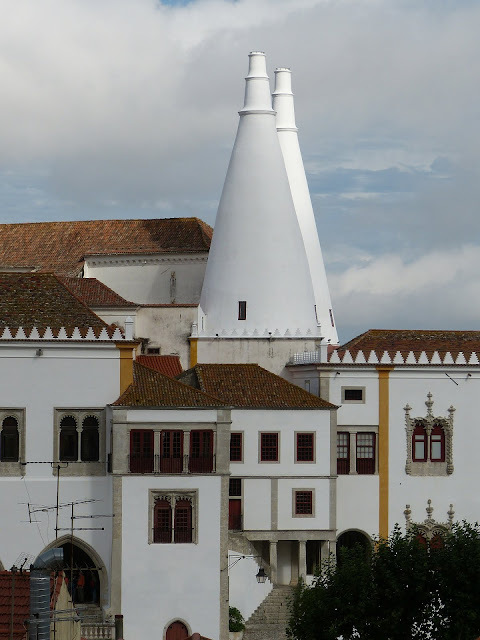 I have never been to Sintra, it looks wonderful and thanks for the informative guide. The National Palace is definitely one of the sites I'd love to see. 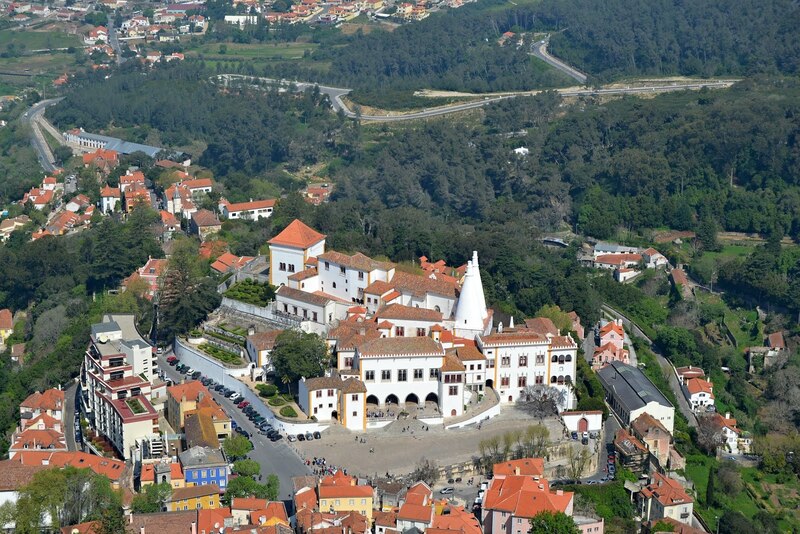 Sintra looks like a beautiful and charming city full of culture and history. I really hope to visit it one day. I went there last year and really loved it as well! The colors are so fun! I'll be honest as soon as I read Sinatra my thoughts immediately thought Frank Sinatra singing, "Come Fly with me." Anyway its a beautiful city. I know that I would love to travel with my kids when I have more so they could be exposed to a little more culture. The very first photo of building is so amazing, that colorful building looks so interesting. All of other photos are also so cool. Really want to visit this place. The architecture is amazing. I enjoyed these photos very much! Good job! What an amazing virtual tour! I always enjoy seeing posts like this for places I will likely never get to visit. The outdoor scenery and gardens are breath-taking by themselves, while some of the architecture is spectacular. The palace is exceptional and that long circular cave where you can't even see the bottom is intriguing! The various architectural designs are absolutely beautiful. They are old but so colorful and durable looking. I'd love to see these places in person one day. 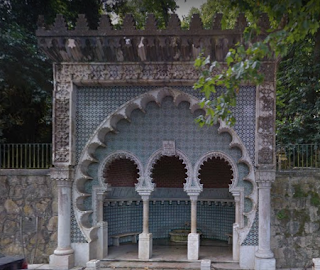 I’m always so entranced by the architecture, the sights, food and smells of other cities and cultures and it looks like Sintra would be more of the same. Your pictures and descriptions are simply captivating and makes me want to visit!